Biblical theology is often viewed as a mere academic exercise rather than a means for finding victory in the midst of life's brokenness. 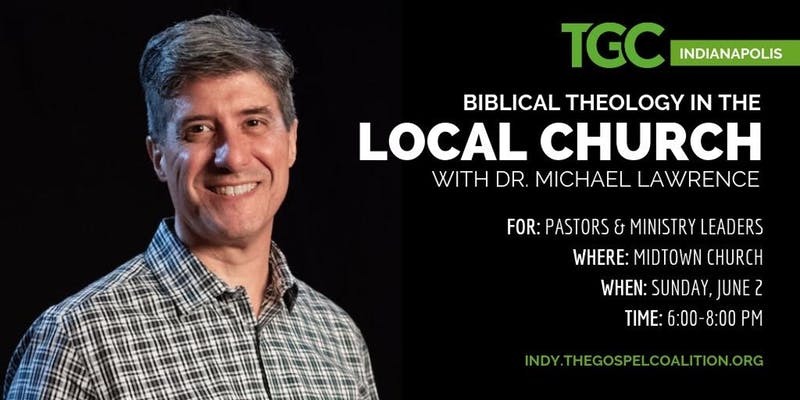 Join TGC Indy for an evening of learning and Q&A about biblical theology in the local church with Dr. Michael Lawrence. You will learn about the importance of biblical theology, why it matters, and how you can apply it to your everyday life. Why does biblical theology matter in the life of the church? Join us to find out. Michael Lawrence (Ph.D) serves as the lead pastor of Hinson Baptist Church in Portland, Oregon. He earned a Ph.D in church history from Cambridge University and an M.Div from Gordon-Conwell Theological Seminary. Lawrence is the author of Biblical Theology in the Life of the Church. Seats are limited. Register here.